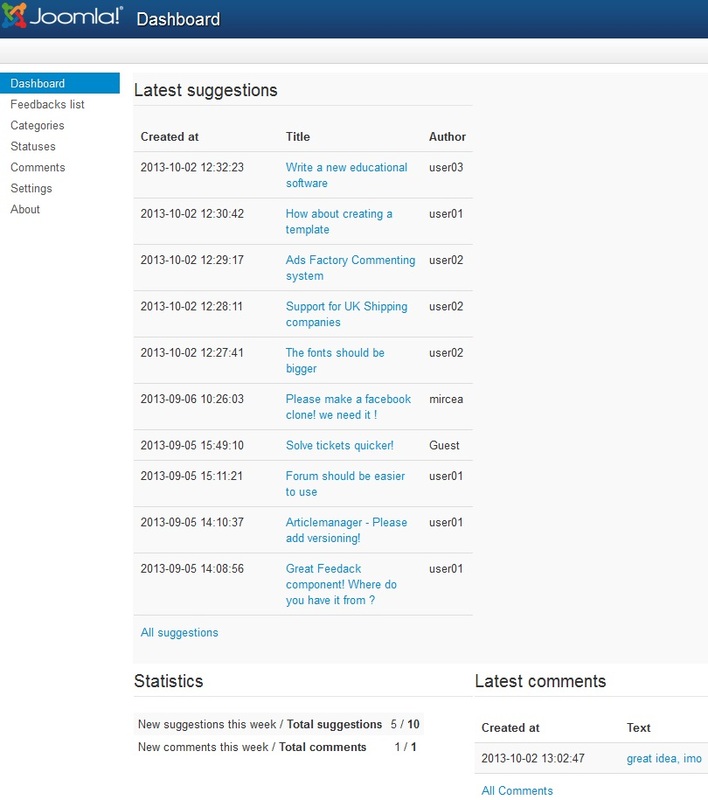 Build easy user polls, enabling commenting and voting functionalities. And, of course, for free and with no strings attached. 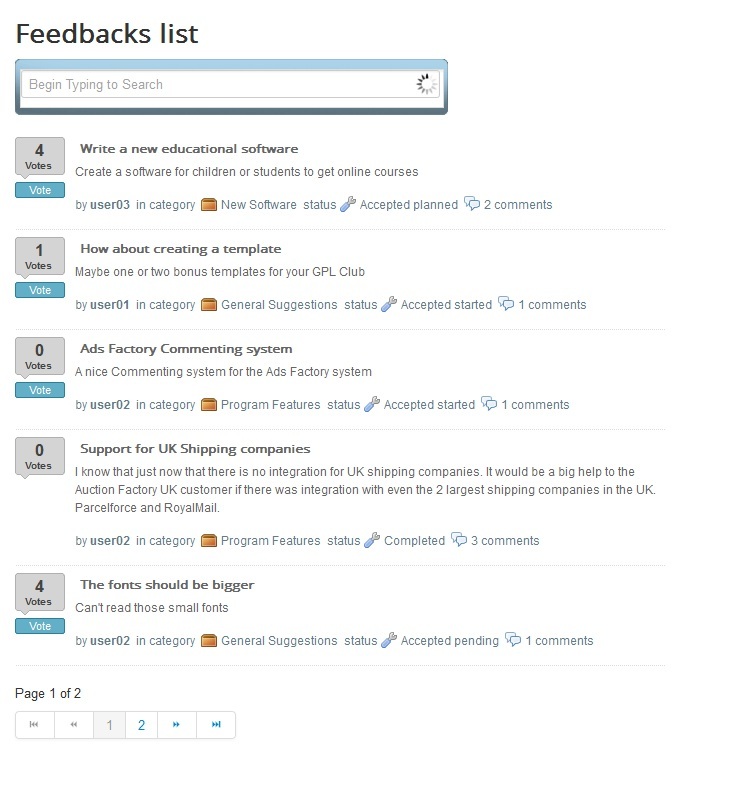 Feedback Factory 3.0.8 released on December 6, 2018. 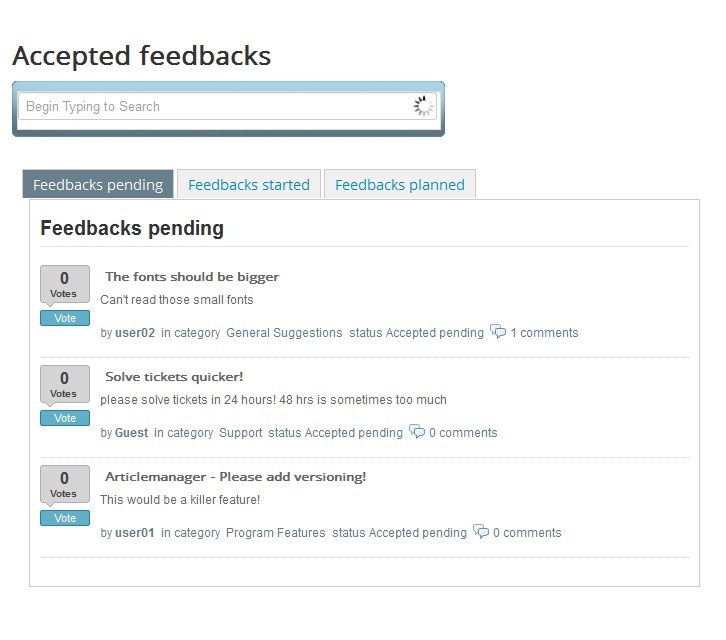 Feedback Factory 3.0.7 released on October 2, 2018. 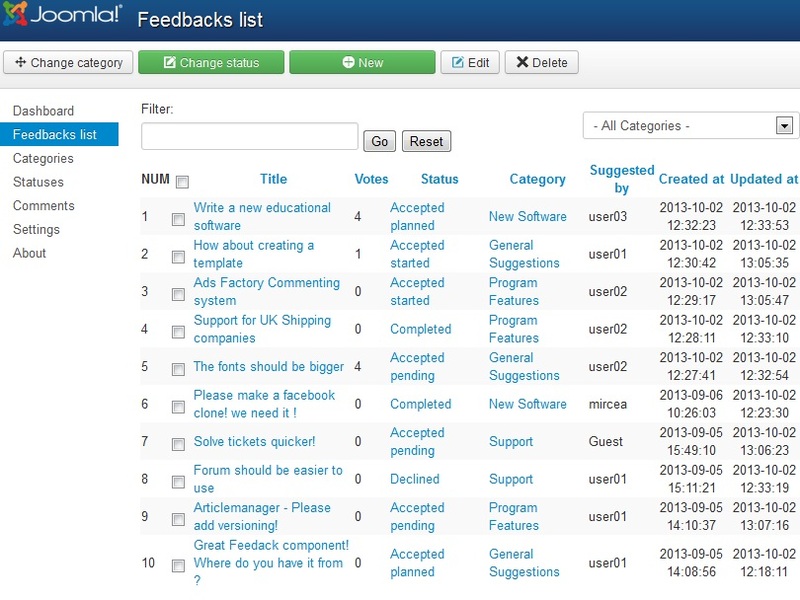 Feedback Factory 3.0.6 released on May 29, 2018. 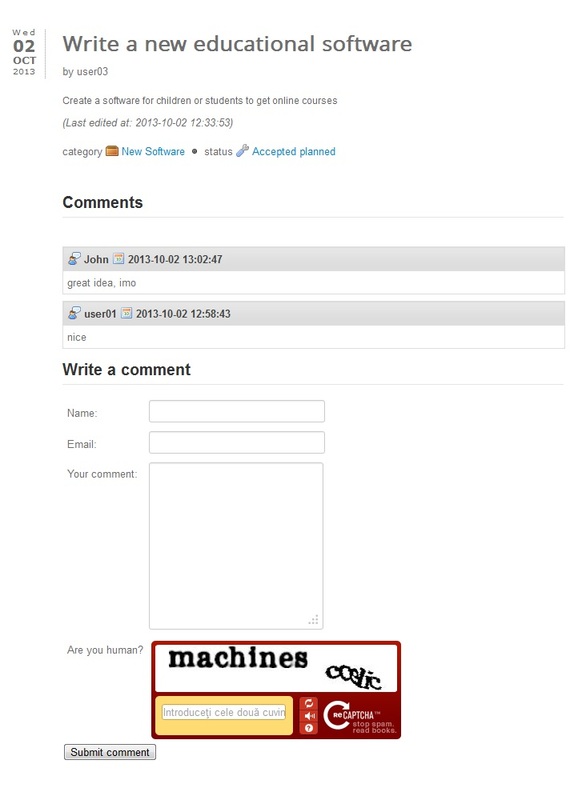 New feature: administrator dashboard multi-panels module. 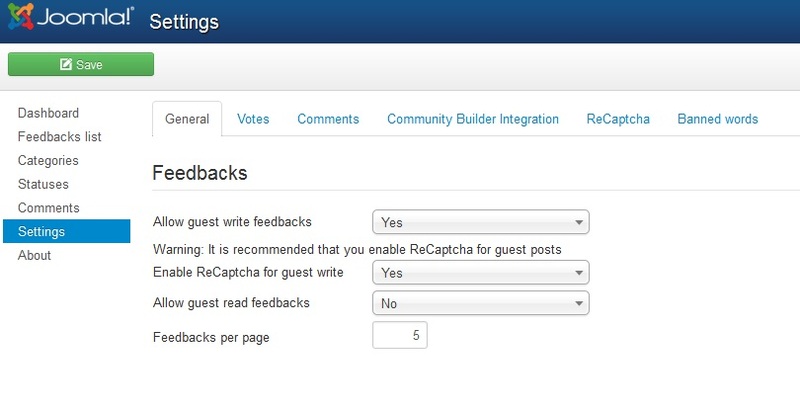 Fixed issues regarding https to load media resources, filter categories by language and status on submit feedback page, filter categories in categories module by language, filter feedback list by category language, category name display on multilingual site. 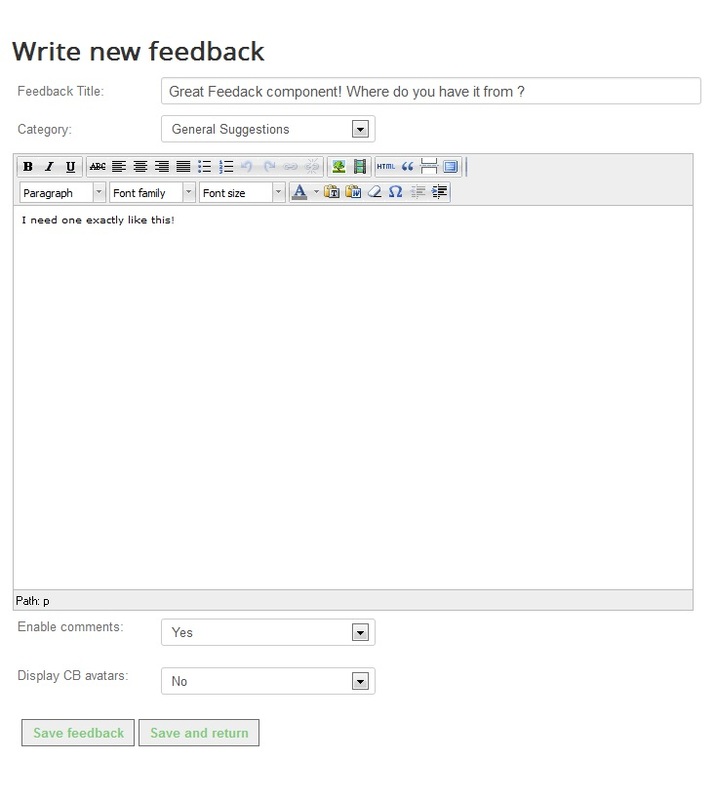 Feedback Factory 1.0.0 released on March 1, 2011. 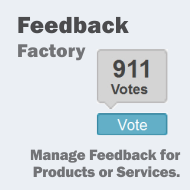 Screenshots are representing version 2.0.0 of Feedback Factory.